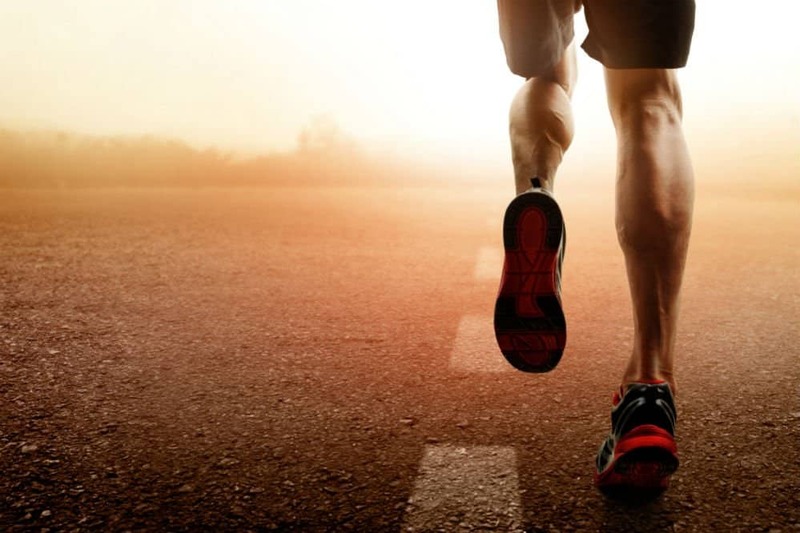 Home » Articles » What Are Stability Running Shoes? You have heard some runners rave about stability running shoes, and you wonder whether perhaps it is time to get a pair for yourself. We all want stable shoes and a solid ride, right? Well, before you hit the running shop, there a couple things to know about stability shoes, because they might not be right for you. So, what are stability running shoes, and how are they different from the pair you have right now? The key to understanding stability shoes is understanding pronation. Pronation refers to the natural way your foot rolls inward upon landing, which affects impact distribution. A certain amount of pronation (about a 15-degree roll, to be precise) is natural. If your ankle rolls more or less than that, you might be more prone to certain foot problems. There are three types of runners based on pronation: under-pronators or supinators, neutral runners, and the over-pronators. It is the over-pronators among us who should be considering stability shoes. The simplest way to know which type you fall into is to check the wear patterns of your shoe. For an under-pronator or supinator, the outer edge of your shoe’s heel will have the most wear. You will notice a minor outward tilt if you put the shoes on a flat surface. On the other hand, if you see an S-shape pattern running from the big toe to the outer heel of your treads, you can consider yourself a neutral runner. There will be no noticeable tilt either inward or outward if you place the shoe on a level area. Lastly, if you notice more wear on the inside of the heel and under the ball of your foot, then you are an over-pronator, and your shoes will have an inward tilt viewed from an even surface. Which Type of Runners Will Need a Pair of Stability Running Shoes? From the three, it is the over-pronator who is best suited to get a pair of stability running shoes. But that depends on the extent of the over-pronation. If it is mild to moderate, then stability running shoes are the way to go. If it is excessive, then the runner might want to look at maximum support trainers. The neutral runner, on the other hand, needs neutral running trainers. Because one’s running stance is considered ideal, there is nothing to correct. If the runner is still building muscle strength, then some cushioning or support can provide comfort. However, some runners of this type who prefer the feel of more ground contact can go for natural running shoes. Meanwhile, the underpronator or supinator, who is most susceptible to shock-related injuries, can benefit from cushioned running shoes. They are neutral running shoes, just with more cushioning. What Are Stability Running Shoes and How Do They Work? Compared to maximum support running shoes that are designed for runners with severe over-pronation and/or flat feet, stability trainers offer a good balance of motion control and cushioning. Are Stability Running Shoes for Everyone? No, they are not. As you may have already realized, the whole point of having different types of trainers is to help runners find a natural running stance, and provide more or less cushioning as needed. Now, if you already have a neutral gait, and you go for stability running shoes with a very hard medial post, then that results in a less than ideal alignment. On the other hand, if you have severe over-pronation and go for stability trainers, then you might find the support wanting. So, it is important to know what your level of pronation is so that you will be guided when you shop for your shoes. Positioned on the medial (inner) side of the shoe to correct inward tilt, this is the stability feature you’d notice first on stability running shoes. They are made of harder foam, designed to take on pressure and to slow down the pronation motion effectively. Ideally, they should start at the middle of the heel and end at the flex point. While it is tempting to think that more is better, it isn’t. Don’t go for very hard medial posts. Running shoes are designed to absorb 2.5 times of the shock of your body weight. Make sure you still get enough cushioning. Rigid medial posts will altogether stop pronation, which isn’t good either, if your feet don’t need that. In relation to the above, make sure that the midsole does not go further than the flex point. Such will prohibit good flexibility. The footbed or toe box should also have enough wiggle room for your toes. Plus, your longest toe and the tip of your shoe should have at least a half-inch space between them. The heel counter – that part of the shoe that keeps the heel in place – must wrap around your heel well to prevent excessive movement and to keep you stable on the track or trail. Lacing patterns can add significant stability to your feet. Tighten the laces of the shoes you fit to see if it adds to overall comfort and security. Your arch should feel snug in a stability shoe. So, before you buy your trainers, make sure they are what you need, based on your level of pronation. You can always use the trick mentioned above about inspecting the wear of your outsoles. A specialized running shops should have trained staff that can help you determine the right type of shoe for you based on your gait, goals, and more. More importantly, it is you who can truly determine if the trainers are right for you. After all, only you can feel if you are getting the right kind of support from the kicks you are in.